Built from 1/4" strips of red and yellow cedar, David Samuelsson's Cosine Wherry looks quite pretty on a beach in British Columbia. David referred to the book "Rip, Strip, and Row" by J. D. Brown in his construction of this boat. 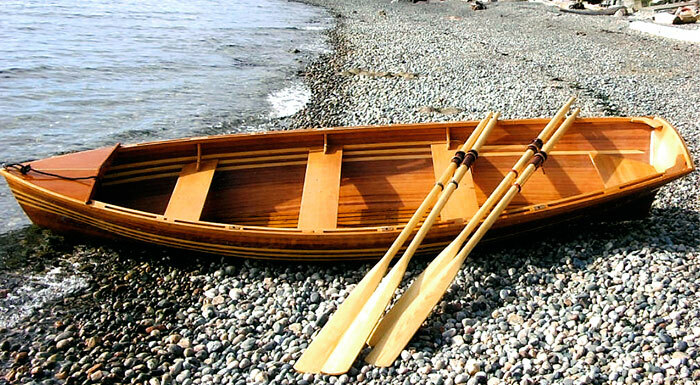 Thwarts and rails are Douglas-fir, and the oars are made from spruce.